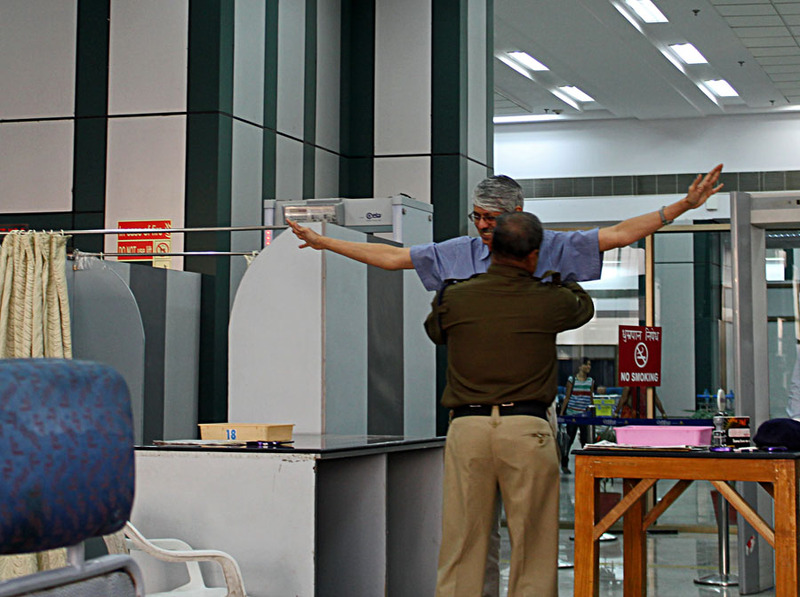 Here are people being checked at airports by the airport security. A man is standing raising his arm as the security guard checks the belongings in the plastic tray. Here the airport security guard is patting a traveler down as he enters the security check gate. 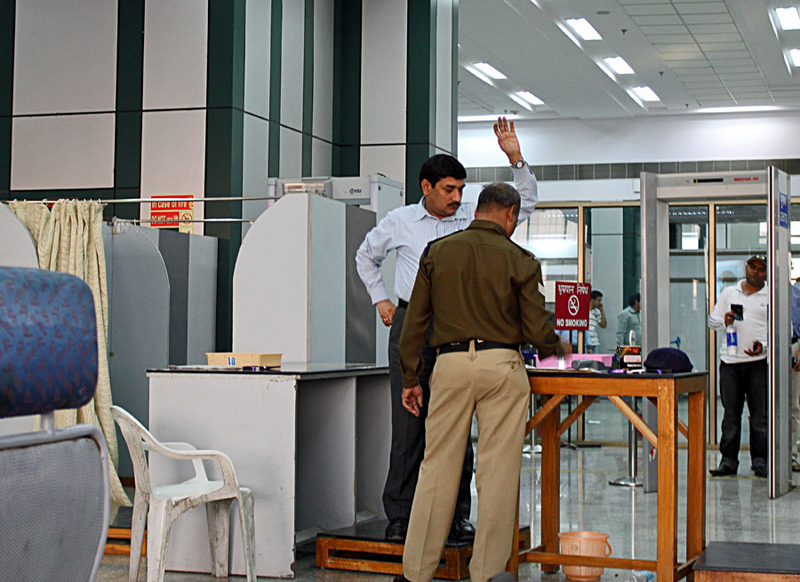 or check all photographs under the label Airports.